All who knew Carol Zweck would agree that she was truly beautiful on the inside and out. A compassionate and genuine lover of people, she was highly respected and treasured within so many in the communities she called home. There was no greater gift in Carol’s life than her family, and she was so proud that her family grew to include the precious grandchildren and great-grandchild she adored. It was easy to see that she was accompanied by an unwavering faith, her life exemplifying what it means to be the hands and feet of the Lord she loved. Life will never be the same without Carol here, but the lives of so many will be forever changed because of her love. As the 1940s dawned in America, the eyes of our nation were focused overseas as WWII raged on. Our hope was to remain neutral, but those hopes were soon dashed with the attack on our naval base in Pearl Harbor on December 7, 1941. It was on December 19, 1940, that Gilbert and Harriet (Reinhardt) Bartsch were pleased to announce the birth of the baby girl they named Carol Ann. She was later joined in her family by her sister, Susie. The two sisters were known for their fair share of mischief, although Carol always said that Susie was the one to blame including the time they went to the creek, which was forbidden by their mother, and Susie needed stitches after cutting her foot. 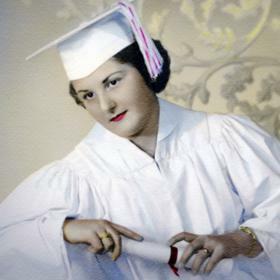 Carol was a proud Girl Scout and attended local schools. As a family they enjoyed vacations to Yellowstone, Northern Wisconsin, and a farm in Walnut Grove, Minnesota. 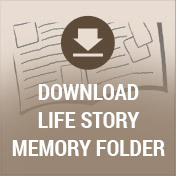 Life was forever changed for Carol when she met the young man of her dreams. His name was Harland Zweck, and they were introduced through Tim and Barbara Eschenbach in the early sixties. They began dating and fell in love. 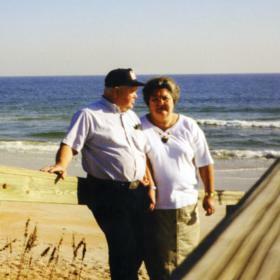 With the desire to spend the rest of their lives together Carol and Harland were married on July 3, 1965, in Illinois. Together they grew their family when they adopted their daughter, Jenny in 1968 and their daughter, Melanie in 1972. For the rest of her life Carol considered the day she was married and the days they adopted each of their daughters to be the best days of her life.  When her children were older, Carol was filled with unspeakable joy to become a grandmother. Her first grandchild, Alex, was born in 1989. Alex was then followed by three more grandchildren including Stephanie, Nathaniel, and Samantha. More recently, her great granddaughter, Kaylee, was born. In addition to caring for her own family, Carol also considered it a blessing to care for her mother during her time of great need. Carol leaves behind an extraordinary legacy. Her daughters feel so blessed that through Carol’s example, their own children have come to embrace the same faith she held near and dear to her heart. From the time her children were young, Carol was there for them in whatever they needed, and the same was true for her grandchildren. Throughout her life Carol touched the lives of so many through her work. She started off teaching grade school with her mother at Parkway Christian Academy for many years. Carol loved working with kids, but she always said as soon as they hit middle school she was done with them. After she and Harland retired, they opened their own in-home daycare called Little Playmates. It was such a successful daycare that the state’s licensing women would bring in potential daycare owners to show them what a well-organized daycare looked like. The daycare was Carol’s greatest success as she had many certification classes to take in order to open the daycare. She was blessed that her daughter worked with her there, and since they lived nearby Carol became such an amazing role model for her grandchildren. Her grandchildren made such special memories with Carol and always appreciated her amazing cooking. 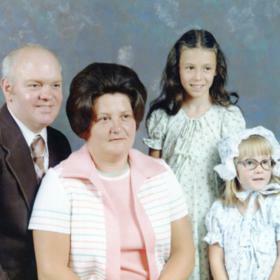 After her husband’s death, Carol missed him deeply but decided to move to Sturtevant, Wisconsin, to live with her daughter Jenny and her husband Paul. Carol was excited to be around her close friends and family again and found it so special to be included in choosing the house Jenny and Paul selected to be home. 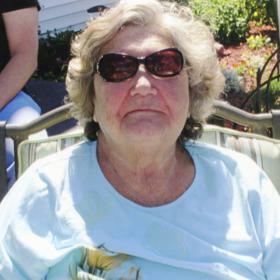 She loved being with her grandchildren whenever she could, and she had more recently been spending summers with her great-granddaughter and teaching her to read. Carol loved gardening and knew the name of every flower. She enjoyed puzzles and reading books, and she treasured the companionship of her dog, Rosie, and her cat, Oliver. In addition to caring for her family, Carol kept busy with other things. Her faith was a cornerstone in her life, and it showed in everything she did. She was first baptized on August 16, 1970, and she received the holy ghost on September 29, 1970. For years Carol was a Sunday school teacher at her church. She was an amazing seamstress, even as a teenager, and over the years she sewed many wedding dresses and bridesmaid dresses. Carol literally sewed hundreds of dresses in her lifetime. Her friends, Nancy Plevak, Judy Tweed, and Mary Ann Wright, were an important part of her life, and together they were a force to be reckoned with. 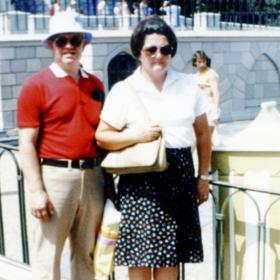 Carol’s family and the Plevaks frequently spent time together including taking vacations together. Carol and Nancy became even closer once their husbands died. She also spent a lot of time with her sister, Sue, and they saw each other every week. Carol was a die hard Green Bay Packers fan, and she was thrilled to go to her first game at Lambeau Field. When watching their games on television, she didn’t hesitate to speak her mind about the coaches or the referees. With unending love for her family and friends, Carol Zweck was such a special person to so many. She was strong and determined when it came to the things she was passionate about, and her sense of humor made her so much fun to be around. Carol was there to help others in any way, and with her unwavering faith as her guide she was a true inspiration. Second only to her faith was the love she had for her family, and the memories she made with her loved ones are truly priceless. Deeply loved, Carol will be forever missed. Zweck, Carol A. (nee Bartsch), of Sturtevant, WI, entered into her rest Saturday, February 2, 2019, at the age of 78. Preceded in death by her beloved husband Harland. Cherished mother of Jennifer (Paul) Schaefer and Melanie Guerra. Loving grandmother of Alexander Tamel, Stephanie Tamel, Nathanial Guerra and Samantha Guerra. Great-grandmother of Kaylee Tamel. Dear sister of Sue (Thomas) Holzer. Further survived by dear friend Nancy Plevak, other relatives and friends. Visitation Thursday, February 7, 2019 at Hope City Church 944 Main Street Racine, WI 53403 from 4:00 PM until time of the Funeral Service at 7:00 PM. In lieu of flowers memorials to Autism Society of Southeastern Wisconsin.